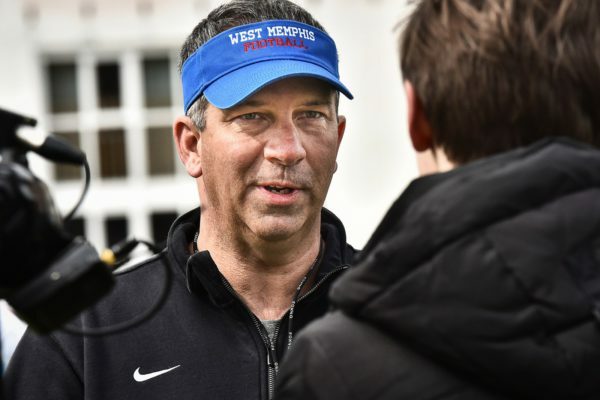 Billy Elmore, West Memphis High School head football coach talks about football camp in Yekaterinburg. I liked the players willingness to learn. They were willing to attend at their own expense, miss work, and be open to hearing what we had to say. Russian players know they have a lot to learn to enter the world stage and they seem to be very receptive to learning and developing the game in Russia. There weren’t many things I didn’t like. I felt like it was more difficult with just two coaches. More coaches would be nice, but I am very appreciative of the US consulate (Particularly the Consulate General, Slava, and Peter) for putting the camp together. I felt like the camp was much better than last year. Last year, we had no idea what to expect when we got to Yekaterinburg. This year, we had a better plan because we knew the skill level of the players and coaches. We were able to pick discussion topics that we knew they needed. This year might not have had as many campers in Yekaterinburg, but we also were able to hold a two day camp in Tyumen and there were about 25 players involved in that camp. So, overall… I think the numbers were up. I would like the last day to be a huge camp with all the Ural teams coming to the «team camp» type setting. 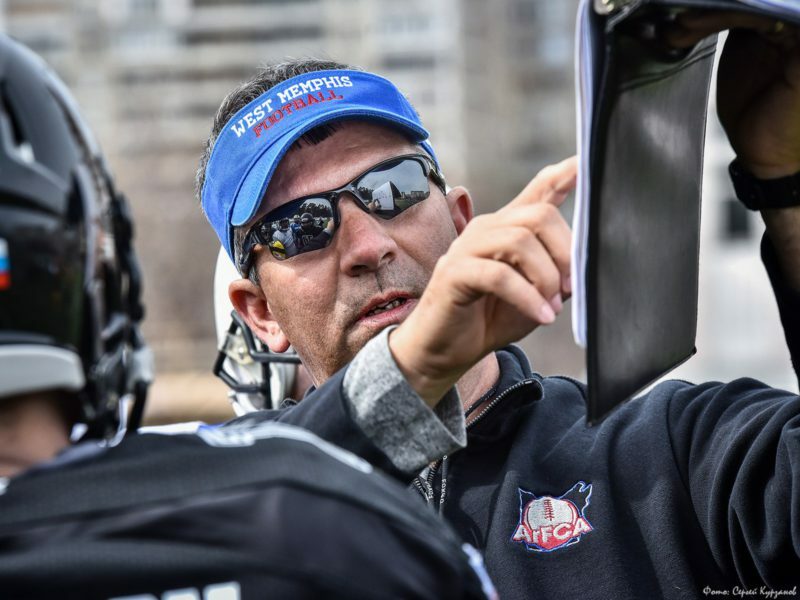 Each team run their own offense and defense, Mike an I organize the teams and offer assistance where needed. It is hard sometimes to blend all different teams and ability levels together. We made it work with some really good Russian coaches helping. We could not have done the camp without them. They made it possible for Mike and I to walk around trying to coach all positions while they run the drills for us. They were invaluable in the process. I think the biggest thing I see with Russia/ American football is that were more alike than we are different. We all understand the language of sport and trying to get better at your performance. I think that is what makes American Football so great. It could possibly bind the two countries with a shared value system. I think both countries are goal driven and respect someone willing to work at their craft and become good at it. I would very much like to come next year. I feel like I have made some Russian friends and would like to work with them each and ever year. I believe the camp and the level of play will continue to get better. The composition of the camp will probably be a similar format with the classroom and the practice session. Again, it would be great to bring more coaches and be able to work specific skills of each position. I realize that can be cost prohibitive, so we will possibly have to continue to depend on our Russian coaches to conduct the drills laid out by Mike an I. I would like to see breakout classroom sessions where we can talk about each position and go into more detail with them on their specific position. I think as more Russians are exposed to American football, they will learn to love the game just like Americans. Again, we are very similar in our belief systems, and what we value. Hard work is the only way to get better at this game and both countries were founded on hard work. It might help if we could hit more cities for a shorter period of time. That might help grow interest in the sport in Russia.